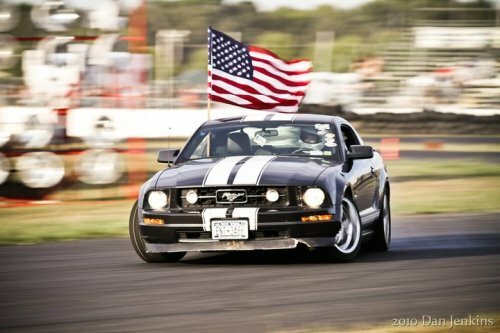 Anthony Fallon, a drift homie of mine, drives a 2007 Ford Mustang V6. He is currently undergoing many changes including a turbo and cage. 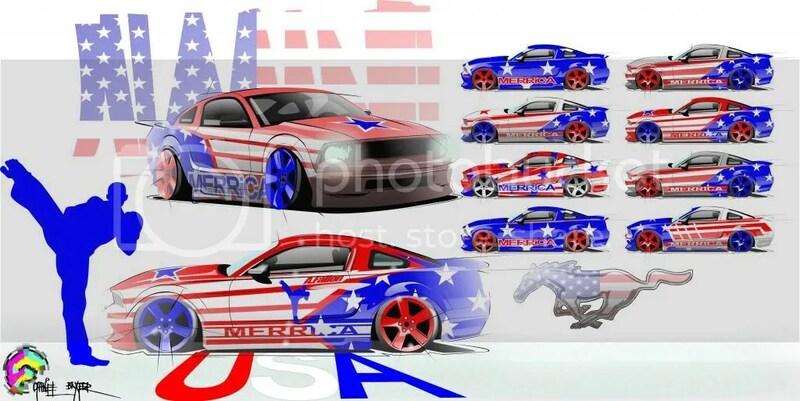 He requested a USA themed design for a new look as well. He is also a kick boxing champion and pays for tires as a face breaker for hire. You can find him under Drop Kick Murphey in the yellow pages.